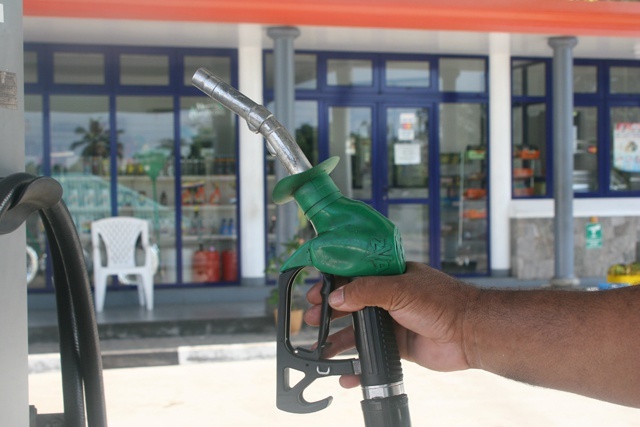 (Seychelles News Agency) - The Seychelles islands should see less pollution and fewer health risks after a higher quality petrol fuel is introduced on the market on Tuesday, Seychelles Petroleum Company said. The new fuel has less sulphur than the current petrol used on the island nation. The company, SEYPEC, said the new improved grade contains 50 parts per million (ppm) of sulphur, compared to 500 ppm in the current blend in use since 2010. SEYPEC says the reduced level of sulphur will lead to reduced health risks and pollution due to the cleaner properties of the fuel. The fuel will lead to reduced emissions of particulate matter from diesel engines and machinery. The Principal Secretary of Energy and Climate Change, Wills Agricole, welcomed SEYPEC’s introduction of the new gasoil, saying it is line with government’s strategy of having good air qualityto limit greenhouse gas emissions and other pollutants from road transportation. Agricole says SEYPEC, the main importer of fuels in the country, has the responsibility to ensure that the type of fuels imported meet at least the minimum required international standard on pollution which in turn has an impact on climate change. The new gasoil is in line with the Seychelles’ Sustainable Development Strategy 2012-2020 to deliver enhanced quality, more environmentally friendly and sustainable products. It also adheres to objectives outlined in the country’s Environmental Management Systems, the company said. The new product will be the sole gasoil distributed domestically, and will lead to greater harmonization of product grades throughout the Indian Ocean region. Several islands in the region and on mainland Africa have successfully made the change over, and this brings potentially more competitive prices. SEYPEC Chief Executive Conrad Benoiton told SNA there will be no changes in prices or interruption in services at the local petrol stations. The cost of diesel is $1.04 per litre. To ensure a smooth transition, the company conducted sensitization exercise for the past 12 months of its major diesel customers to gauge their responses on the introduction of this product. The Seychelles archipelago comprising of 115 islands in the western Indian Ocean consumes 55 million litres of diesel annually. That is 73 percent by industries and the tourism sector, 22 percent by motorists and 5 percent by public transport. Quality wise, the product is one superior to its predecessor and meets the Euro 4 standard.